Lucasfilm and ILMxLAB announced today that they will be bringing the upcoming virtual reality series Vader Immortal to Star Wars Celebration next month in Chicago. A panel previewing the new game will take place on Friday April 12 at 1:30pm on the Celebration Stage. In addition, fans will be able to check out the first episode of the series (written by David S. Goyer) at the ILMxLAB and Oculus booth on the convention show floor. 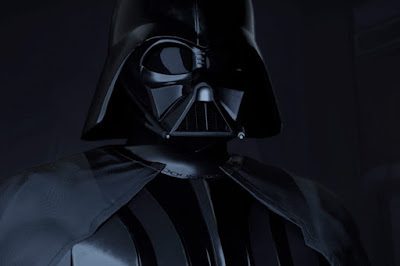 Vader Immortal: A Star Wars VR Series will be released later this year on the Oculus Quest headset. There will be three episodes, all written by Goyer. The series will take place on Mustafar, between the events of Revenge of the Sith and A New Hope, and will take fans inside Vader's castle (seen in Rogue One: A Star Wars Story). Also recently announced were several new guests, including Star Wars Resistance star Bobby Moynihan (Orca), ILM model maker Lorne Peterson, and creature performers Annabelle Davis and Penny McCarthy.